Just a heads up guys and gals, Alden Richards and Maine Mendoza will be guesting in GMA's "Tonight With Arnold Clavio". If you remember, Alden calls Arnold Clavio "Tay" and this time he's bound to introduce Maine Mendoza formally. Will Arnold find Maine as charming? 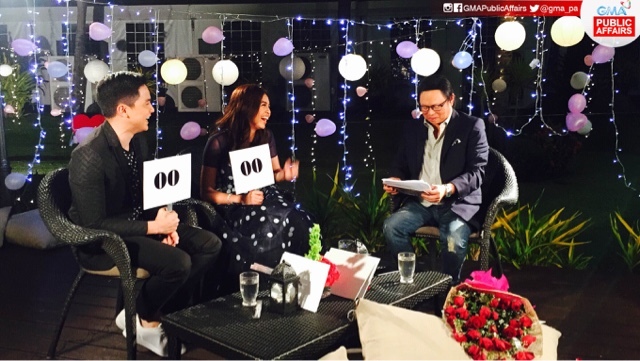 Will you be happy with AlDub's answers in the "Sino ang Mas" portion? You also shouldn't miss the part when Alden and Maine say their personal messages, and see if you'll love what you'll hear. Will it be "kilig" all the way? Make sure you follow TWAC on Twitter and use the hashtags #ALDUBYOUTWAC and #ALDUBONTWAC in this 2 part special when it airs on February 17 & 24, 2016 at 10:15PM on GMA!